[Zip ! Mp3] Billie Eilish WHEN WE ALL FALL ASLEEP WHERE DO WE GO? Album Download The album features the previously released single “you should see me in a crown,” which reached the top 10 on Billboard ‘s Alternative Songs chart. A brand new song from the record, titled “bury a friend,” is available now for digital download. Billie Eilish has announced the details of her debut album. It’s called WHEN WE ALL FALL ASLEEP, WHERE DO WE GO? — in all caps — and arrives March 29. When We All Fall Asleep, Where Do We Go? (stylized in all uppercase) is the upcoming debut studio album by American singer Billie Eilish, set to be released on March 29, 2019. The songs “You Should See Me in a Crown” and “When the Party’s Over” were released as the first two singles from the album. The third single, “Bury a Friend”, was released with the album pre-order on January 30, 2019. The fourth single, “Wish You Were Gay”, was released on March 4, 2019. Most of the album’s tracks were written during the production of Eilish’s 2017 EP Don’t Smile at Me. These songs were supposed to be part of an album that was to be released in the summer of 2017. Instead, an extended play called Don’t Smile at Me was released. On March 21, 2019, the album reached 800,000 pre-saves on Apple Music, the most of any artist. On March 20, 2018, Eilish confirmed that she was working on an album and that it would be released towards the end of the year. In July 2018, during an interview with BBC Radio 1, she announced that the album is expected to be out on March 29, 2019. On January 14, 2019, it was reported that Eilish was in the process of mastering the album. On January 29, she formally announced the album’s title and revealed its cover art on her Instagram. She simultaneously teased a new single, “Bury a Friend”, which was released the following day along with album pre-order. Billie Eilish has released her latest new single ‘Wish You Were Gay’, which is taken from her upcoming debut album. The rising star promised fans recently that the track would emerge today (March 4), and she’s since made good on her word with the song’s release this evening. Meanwhile, Eilish recently discussed how her experiences with crippling night terrors had shaped the sound of her debut album. Billie Eilish is finally dropping her highly anticipated debut album, and the songstress took to Instagram on Tuesday (Jan. 29) to share the news. While the record itself, WHEN WE ALL FALL ASLEEP, WHERE DO WE GO?, has no release date as of now, Eilish did announce that the first single will be released tomorrow (Jan. 30). 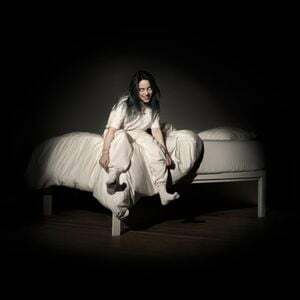 The album’s terrifying cover art features the 17-year-old with blank eyes smiling creepily on the edge of a white bed. It’s artistically demonic. Eilish went on to describe how she had suffered with night terrors herself: “I’ve always had really, really bad night terrors. I’ve had sleep paralysis five times. All my dreams are lucid so I control them.